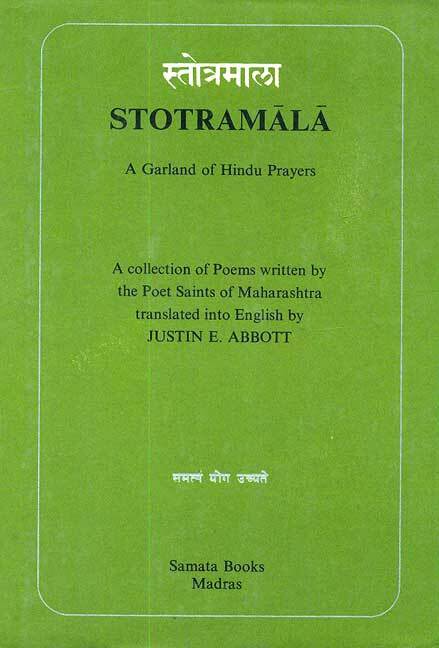 The Poet-saints of Maharashtra were all Vedantists in philosophy. Almost without exception they belonged to the bhakti school or thought. The Vedas, the Upanishads, the great epics of the Mahabharata, and the Ramayana, and the eighteen Purans, were to them sacred books, divinely inspired, and necessarily their metaphysical, and moral philosophy, and their stories of the deeds of gods and heroes, were accepted as undeniable truths. In their prayers, therefore, there are many things that must appear strange to those who have a different philosophy, to those to whom the Puranic stories mean nothing but curious legends, and to those to whom even the moral implications contained in these prayers, seem at times at variance with the standard of morals, that the modern heart and conscience demand.